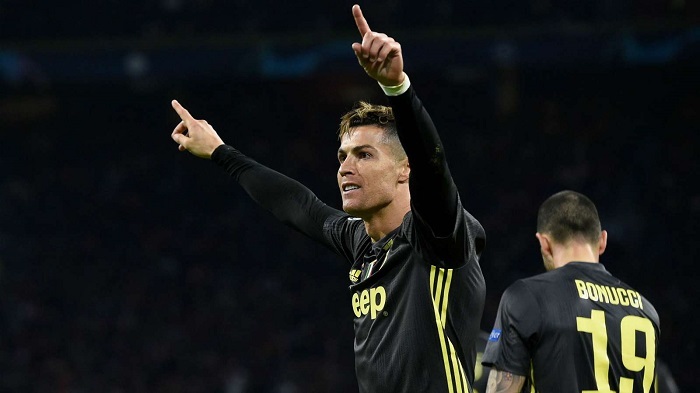 Massimiliano Allegri praised Cristiano Ronaldo after he scored on his return, though the Juventus boss has demanded more from the team heading into the second leg of their Champions League quarter-final against Ajax. Ronaldo was back in action following a muscle injury sustained on international duty last month, and the five-time Ballon d’Or winner marked his return with a goal in Wednesday’s 1-1 draw away from home. The Juve star showed no signs of that thigh problem as he sprinted into the penalty area, and headed past Ajax goalkeeper Andre Onana on the stroke of half-time in Amsterdam. ‘He started the action and he wrapped it up [with the goal]. This is Ronaldo. Juve face a difficult task at home to Ajax in Turin on 16 April after the Eredivisie powerhouse stunned three-time reigning champions Real Madrid in the first knockout stage. ‘A team that is capable to eliminate Real Madrid and to win 4-1 at Bernabeu, they are not simply a young, quality team, they’re a team that defeated Real Madrid in the round of 16 and play in the quarters,’ Allegri said. ‘We knew that at home they would have played a game like this. In Turin it will be different, but they have the personality to come to our stadium and play with their technical qualities.